Preheat the o oven at 375F. 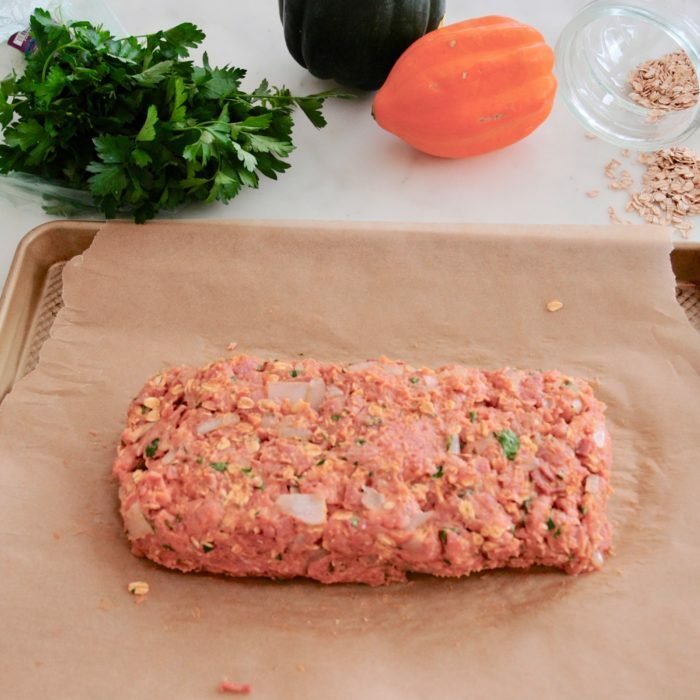 Combine all the ingredients for the meatloaf and mix with a fork until it looks evenly combined. For extra flavors and if you have time, you can sauté the bacon, onions and herbs for a few minutes before mixing it in, but it will be perfectly delicious if you miss this step. When combining everything, do not over mix it otherwise it will be too dense. Put the mix on a baking sheet and shape in a rectangular. Combine the ingredients for the glaze and brush all over. Cook for 30-35 minutes, get it out of the oven and let it rest for 10 minutes covered.